Alwaysmining gets a pat from jockey Daniel Centeno after winning the Maryland Juvenile Futurity. Photo by Dottie Miller. 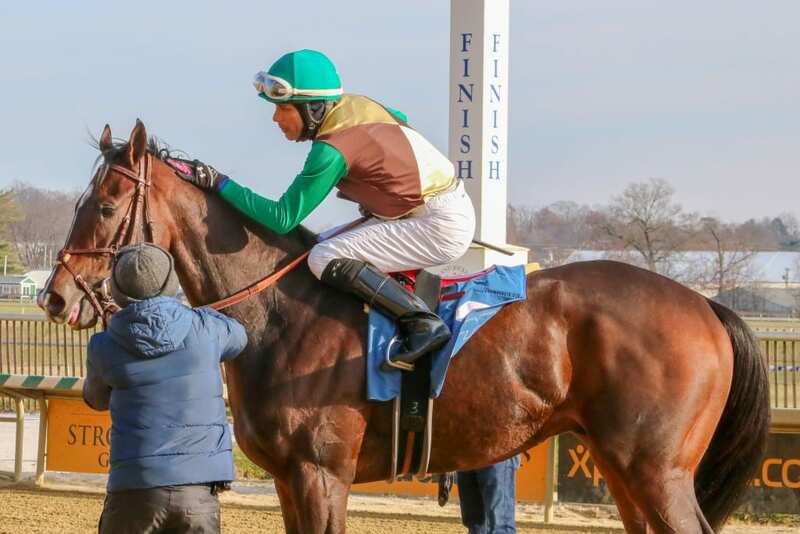 Other nominees include Maryland-breds My Legacy, Shazier, and Trifor Gold; Virginia-breds Chess Chief, Forloveofcountry, Passion Play, Soldado, and Speed App; Pennsylvania-breds Machine Learning, Puttheglassdown, and Tizprocess; and West Virginia-bred Final Say.